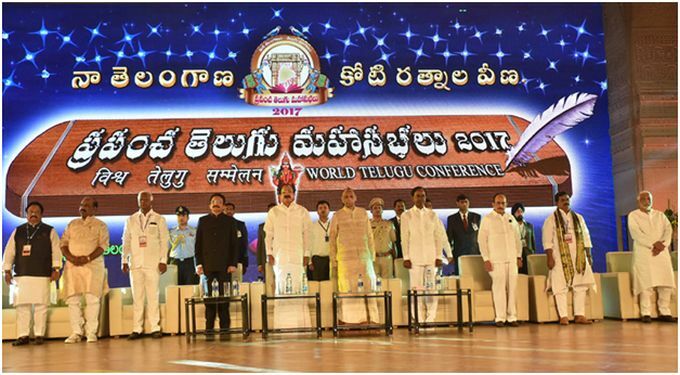 Hyderabad (IAIJ): Vice President Mr. Venkaiah Naidu inaugurated the World Telugu Conference in Hyderabad on Dec 15. 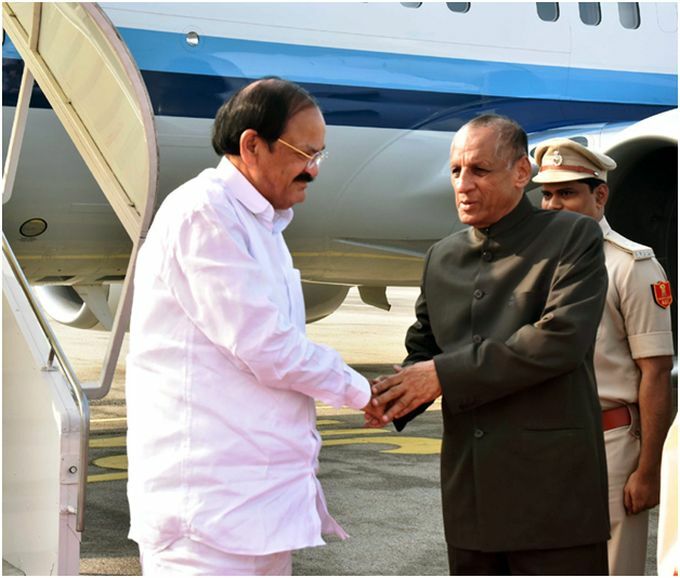 Speaking on the occasion, Mr. Naidu congratulated the Telangana Chief Minister, Mr. K.Chandra Sekhara Rao for organizing the celebrations after 42 years, the first conference was held during J. Vengal Rao’s time. The Vice President said there is an urgent need to emphasize the importance of mother tongue from childhood only. Children should be told about the beauty and greatness of Telugu language and literature by parents and teachers and learn to appreciate the language, he said. Language, which developed as part of man’s efforts to express himself, differs depending on the social, economic, geographic and historic perspectives. 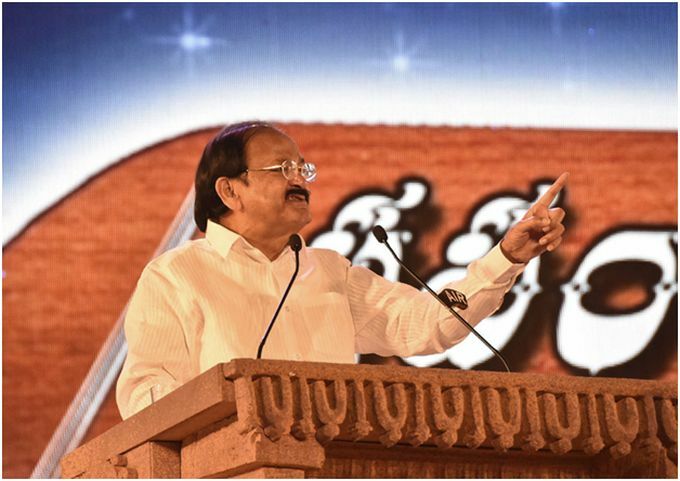 The Vice President said that there is ample evidence to believe that Telugu is an ancient language, and inscriptions dating back to 2nd century AD were found to be in Telugu. Various dialects of Telugu language are unique they must be encouraged, he said. For language to grow and flourish, usage is very important and efforts must be made to use Telugu in these modern times, and in the age of internet, he said. The Vice President said that Telugu literature was very rich and great literary works like Maha Bhagavatam by Potana and Maha Bharatam translated into Telugu by Nannaya. Tikkana and Yerrana – ‘Kavitrayam’ should be introduced to children at an early age. He congratulated the Telangana Government for making Telugu a compulsory medium of instruction from the next year. Many versatile statesmen were born in Telugu, one of whom was former Prime Minister, Shri P.V. Narasimha Rao, Mr. Naidu also said that cinema and television too have a role in preserving language. Telugu should be widely used in internet. Education and jobs should be connected to language he said. He said reservation for those who studied in Telugu should be brought in and arrangements must be made for facilitating national level examinations in Telugu, he added. Governor of Telangana and Andhra Pradesh states, Mr. E.S.L. Narasimhan, Governor of Maharashtra, Mr. Ch. 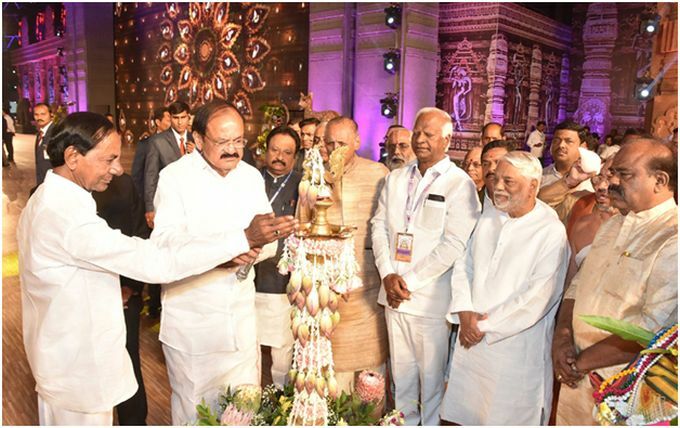 Vidya Sagar Rao, Ministers of Telangana Government, several Ministers, poets and people in huge members from both Telugu states participated in the grand opening celebrations.